“[B]etween the troubled thoughts of wrong roads taken in ‘One Per Customer,’ the doomy tale of bad luck in ‘Tall Weeds,’ and the contemplation of a life gone wrong in ‘Nope,’ nobody can write about things going sour with Wussy’s fusion of compassion and unblinking realism. 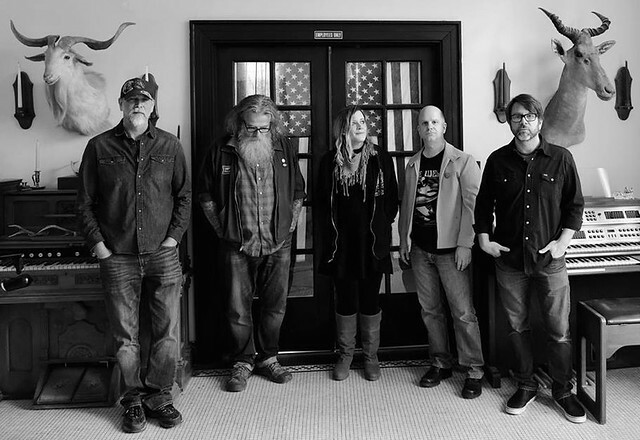 With What Heaven Is Like, Wussy have made it clear they’re not giving up their status as one of America’s greatest indie bands just yet, and this is another dark but compelling album that deserves your attention,” said Mark Deming in a review for AllMusic. Principal songwriters Chuck and Lisa met in 2001 and formed Wussy, eventually releasing a debut album, Funeral Dress, in 2001. They’ve steady released an album every few years, as well as quite a few EPs (including this year’s Getting Better), proving there’s still a place for poetic lyrics and roots rock guitars.